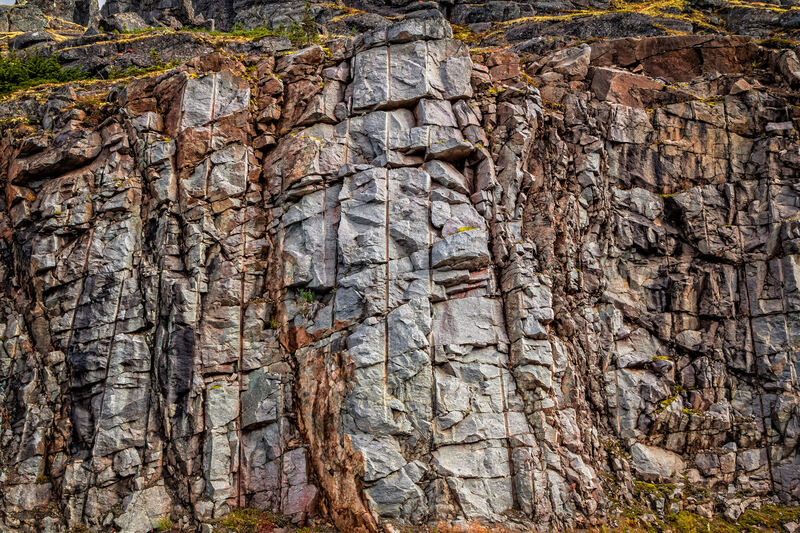 Cracked rocks showing vertical boreholes where explosives were placed to carve the Klondike Highway out of the rugged landscape of Alaska near the border with British Columbia, Canada. 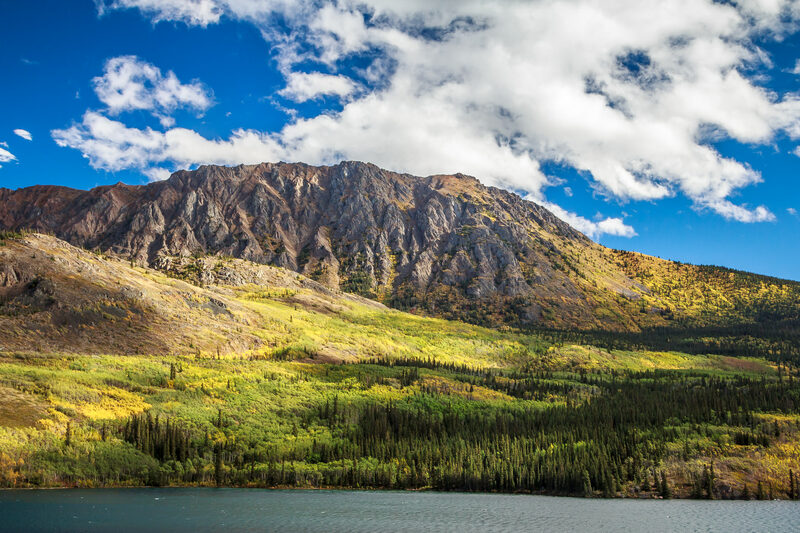 A mountain rises on the far shore of Tagish Lake, British Columbia along the Klondike Highway. 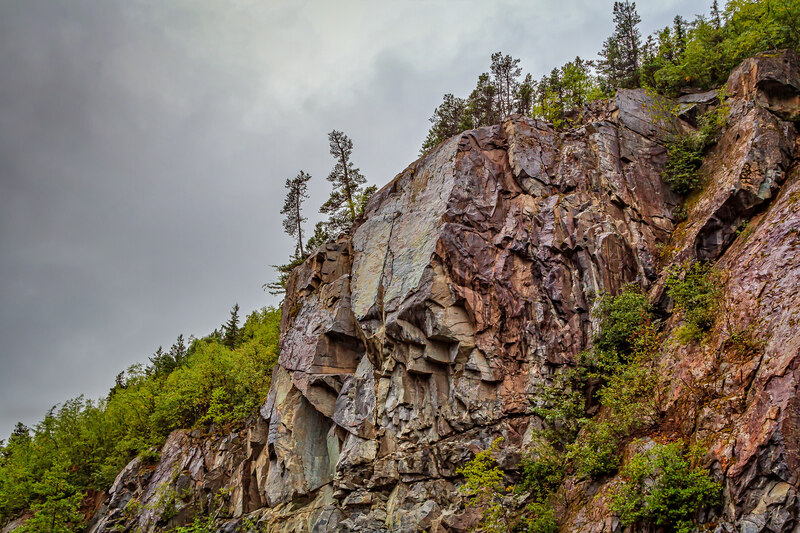 A rocky cliff face high above the Klondike Highway, Alaska, just west of the border with British Columbia. 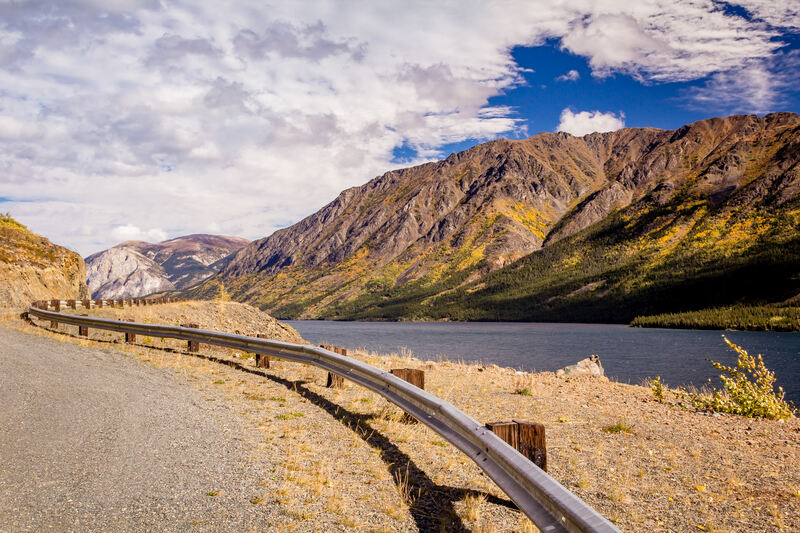 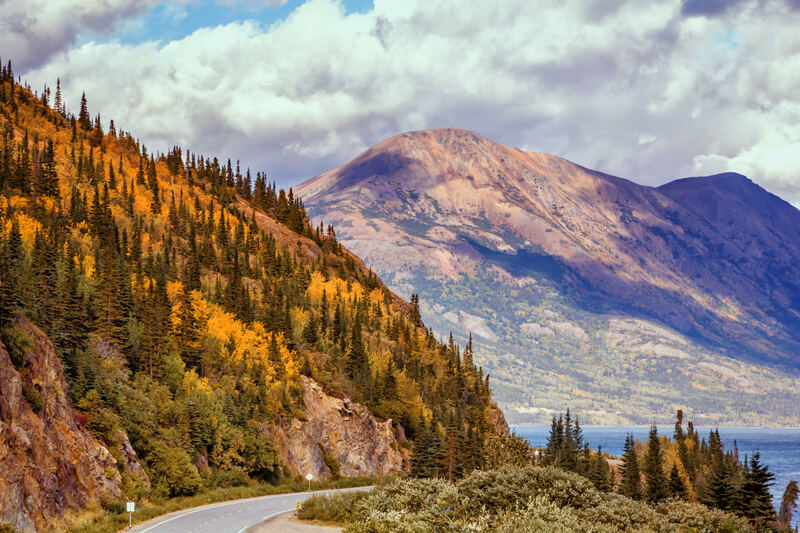 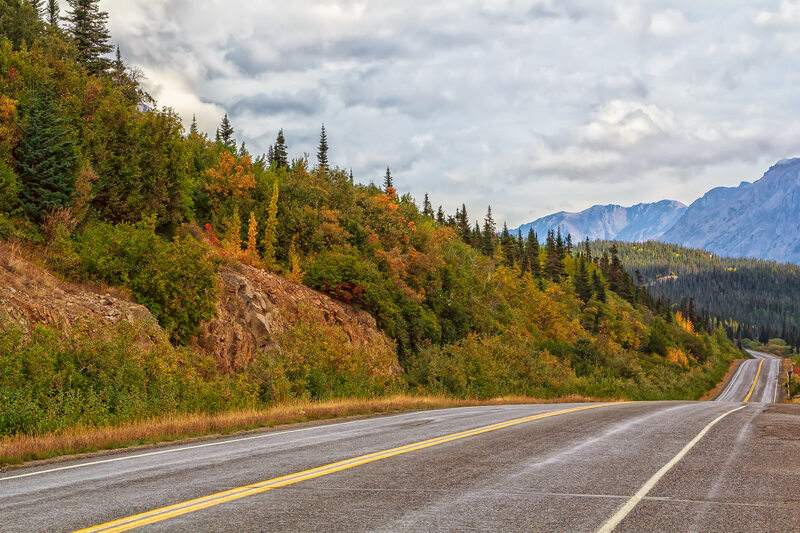 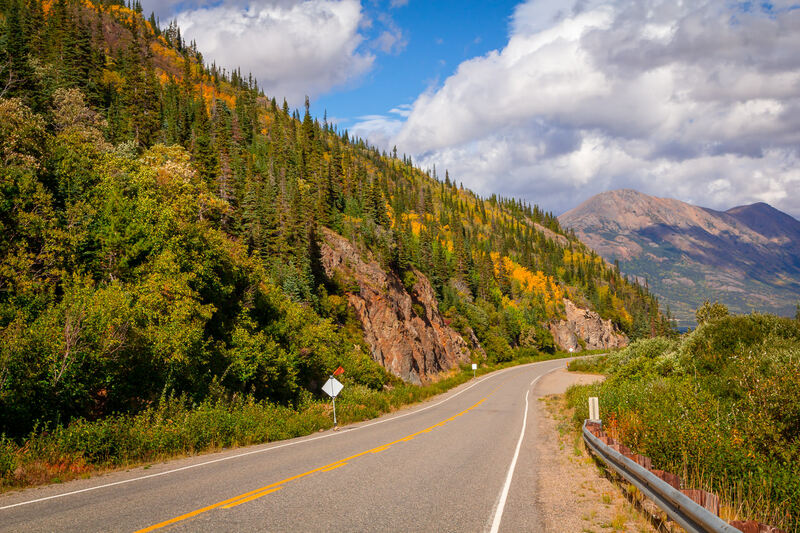 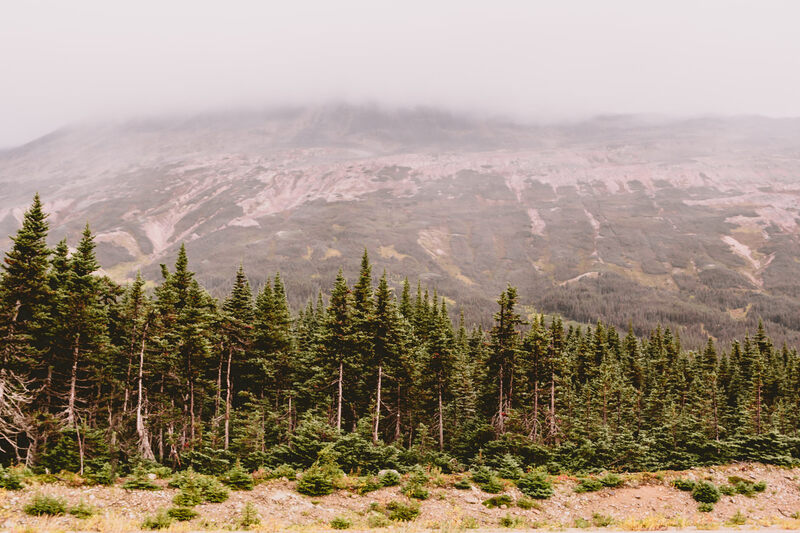 The Klondike Highway, passing through British Columbia.